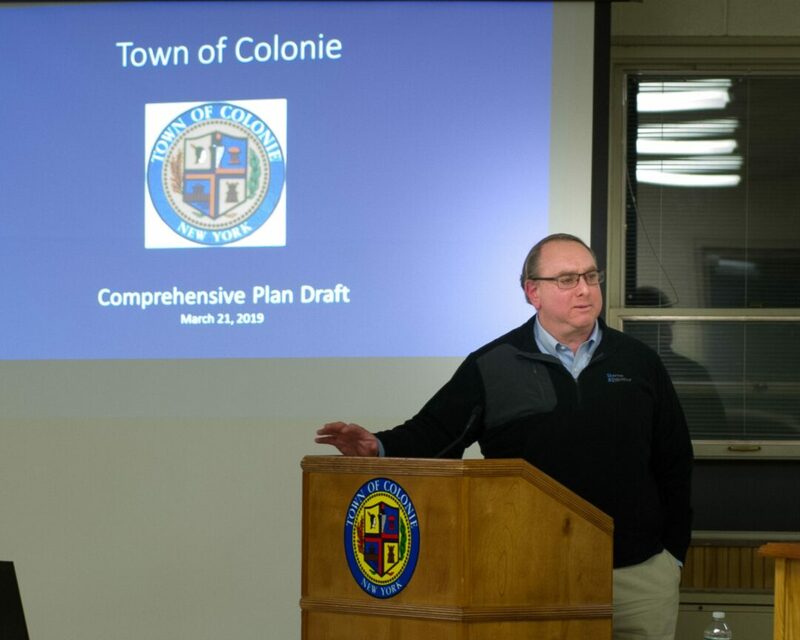 COLONIE — The Town Board held the first public hearing on Thursday, March 21, into a proposal to update the 2005 Comprehensive Plan. The board could have adopted the plan on that night, but will instead go over the entire plan piece by piece and hold a public hearing on each piece. It will then decide whether or not to make modifications to the plan before it is adopted. There is no time frame for future public hearings or when the plan will be adopted. About 50 people came to the Public Hearing on the Comprehensive Plan on Thursday, March 21. For nearly three years, the town has been collecting data and formulating goals and objectives to include in the Comprehensive Plan. But, officials have said, the idea is not to revamp the entire 2005 plan but to tweak it so it fits in with what is happening in town now and what is projected to happen in the next decade or so. About 50 people attended the meeting Thursday, and a handful of people spoke. 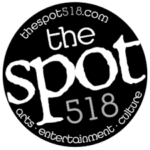 Some spoke on the need for the new Comprehensive Plan to address controversial projects like the Summit at Forts Ferry, an apartment building for seniors on Forts Ferry Road, the new Stewart’s Shop on Fuller Road where the Fuller Road House used to stand, and plans for an apartment building between Vly and New Karner roads. The projects drew a tremendous amount of criticism by neighbors but, the projects are, by and large, in line with the existing zoning and land use requirements. While zoning regulations and land use law are on the books and are the parameters for development that have legal teeth the town must follow, the Comprehensive Plan is a broad outline lawmakers can use in the future to formulate formal legislation. One similarity between the Forts Ferry project and the new Stewart’s on Fuller Road — as well as other controversial projects in town — is the land is located between busy, commercial areas and quiet residential neighborhoods. The two distinct characteristics have different objectives and desires and the land between them is often a battleground between the two opposing forces the town must somehow moderate. He said his group repeatedly offered to meet with the developer but that only happened when the town facilitated the meeting. Most projects, he said, would not bring the public out, but the Comprehensive Plan should include ways to inform the public and allow more public input for the major projects that will have an impact on quality of life issues. Construction on The Summit project is well under way and the Fuller Road House, along with a home one door in from Fuller Road on Katherine Road, has been demolished with construction on the new Stewart’s slated to start soon. The housing project between Vly and New Karner roads is still working its way through the process. How that broad language and sweeping vision translates into a legally binding zoning regulation or land use law is still very much up in the air. When the Town Board adopted the 2005 Comprehensive Plan, the town’s Land Use Law was updated two years later and that document governs what can go where in the town. There was a review of it in 2010. Other members of the public spoke on the importance of keeping in place existing trees when considering development projects because any effort to fight global warming starts at the local level. Chuck Voss, an engineer with Barton & Loguidice, who was hired to put together the Comprehensive Plan, during a nearly hour long presentation prior to the public hearing, pointed to several places where re-development has taken place including the old bowling alley on Route 7 that was torn down to make way for boutique like shops and restaurants, the long vacant former Starlite Theater site that is going to be home to Ayco’s headquarters, and the First Prize meat packing plant that could be demolished to make way for a new mixed use development. “Certainly it makes sense on a number of levels to re-develop as many of those sites as you can,” he said. Members of SAVE Colonie, a Partnership for Planning, who have been critical of development under the Mahan administration, and skeptical of the Comprehensive Plan, have asked the plan include an executive summary and are worried the data used to formulate the plan is dated. They were in favor of the board not adopting the plan on March 21 and for keeping the public comment period open.